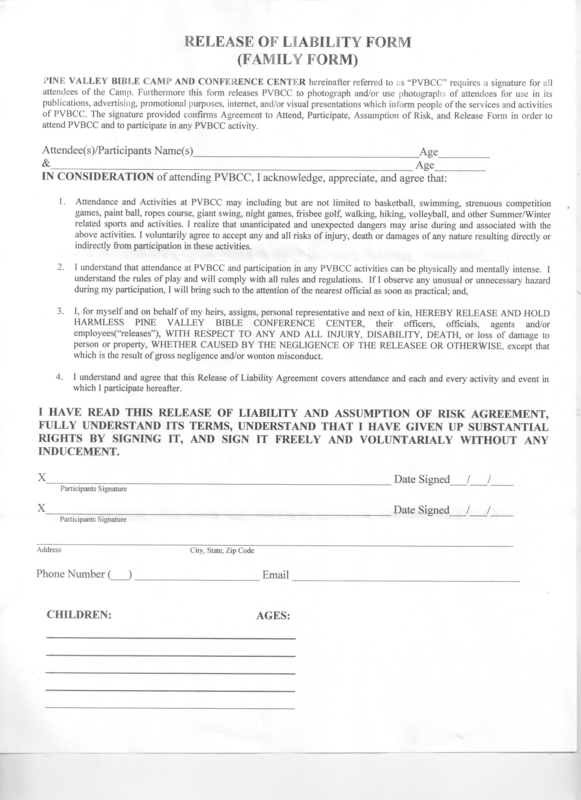 IMPORTANT:﻿ Please print & fill out release forms for PVBCC & return with registration or scan and email. PHOTO WAIVER: Our family takes a lot of pictures over the weekend. If you do not wish to have any pictures of you or your children taken or posted online at this website or Facebook, please indicate this when registering & be sure to introduce your family to us at check in so we can avoid including you in pictures. We also take a group picture with everyone on Saturday afternoon so please remain out of that picture as that one will be posted online. If you don't mind pictures posted but see one you feel is not flattering after it is posted you can contact Trish & it will be removed (right click & download it & include it in your email or Facebook message). Thank you! The following information is for a listing of all the registrants that each family will receive at the camp. If you’d prefer not to have any or certain information included, please indicate this. For those who do not fill out questions in this section your registration information (names, address, phone, email, children) will be listed unless otherwise requested.